Today, Australia is primarily an importer of green coffees from around that world that are then locally roasted and distributed. Coffee culture in Australia is on par or more ahead of other countries including Canada, the United States and Europe, and is actually leading in some respects. Any of the best coffees can be found at local roasters. Though coffee was first cultivated in Australia in 1880 and continued until 1926 when the industry languished due to the high cost of labor and the generally poor quality of the coffee beans. In the 1980s the use of mechanical harvesting made growing coffee in Australia more economically feasible and coffee plantations were re-established in many of the same regions where the original coffee plantations had existed along the Eastern coast in New South Wales all the way up to Queensland. Coffee plant cultivars were imported from Papua New Guinea with the initial plantings consisting of Blue Mountain, Arusha, Caturra and Bourbon as well as the local cultivar Kairi Typica. The general consensus was that the quality was not great and the yields were also disappointing. The primary coffee growing regions in Australia are in the eastern subtropical parts of the country. About 500 hectares of coffee are cultivated south of the Queensland border in northern New South Wales, and about 700 hectares of coffee are cultivated near Cairns in northern Queensland in the Atherton Tablelands region. The mechanized Skybury Plantation is located in Cape York in far north Queensland near Mareeb on the Atherton Tablelands. There are other large coffee farms in this area as well as numerous smaller farms that still rely on traditional had cultivation. Most of Australia’s coffee is grown at elevations between 200 and 400 meters above sea level. The coffee plant varietals being cultivated are almost exclusively Arabica and include Catuai, Mundo Novo (a hybrid of Typica and Bourbon), and also K7, SL6 and other Kenya coffee varietals that do well in Australia’s dry climate. Coffee plant cultivars now being recommended for southern Queensland and the cooler, subtropical areas of New South Wales include SL14 and K7, while preferred northern Queensland coffee plant varietals include K7, Mundo Novo, SL6, Catuai Amarillo, Catuai Rojo and Kieperson. Australia’s coffee production in recent years has ranged from two hundred to six hundred tons annually with increasing efforts to enter the specialty coffee market. This may be difficult on the current flat land monoculture plantations where coffee plants are grown in the full sun and then mechanically harvested. The NSW region of Australis is traditionally the region where many smaller coffee farms operated though this is currently the area most interested in a major expansion in their coffee production. A variety of coffee processing methods are used for Australian coffee including wet processing, dry processing and Semi-Washed (pulped natural) processing. The Mountain Top Coffee Company uses a “double pass” processing method that includes a full natural treatment in which the coffee fruit are allowed to dry on the plant and then rehydrated before being pulped. 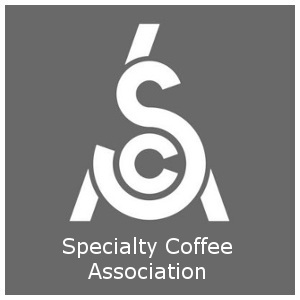 While Australia coffee has some admirable qualities it has yet to make a mark in the specialty coffee arena. Some have described the coffee as containing ashy or coal flavors, with notes of tobacco. Others have compared Australian coffee to “Island Coffees” which are generally low elevation coffees with a mild profile, though the Mountain Top Coffee has more fruity and floral qualities. With a blooming coffee culture and direct access to Indonesian coffee growing countries, Australia is a powerhouse of coffee companies that not only offer coffees from all around the world, but lead in some areas of research and processing. This is not to be confused with the Aroma Cafe coffee shops in Canada and the United States. These roasters started back in 1965 and continue today as one of the larger coffee suppliers in Australia. Having branched out into tea, chocolate and other accessory products, they offer a more diverse lineup than most other companies. While they have a few single origin offerings, their primary drivers are branded blends. Another company established back in ’68, their primary drivers are their branded blends with a few single origin offerings. Not just a roaster, they’ve set themselves apart by going more for direct sourcing and working with farmers directly to improve sustainability, yields and paying premium prices to their growing partners. All of this means continually improving quality from their sources and competition-level coffees. Offering everything fresh roasted coffees to pods and a subscription, you’ll find something for your home setup no matter what you’re looking for. Dating all the way back to 1959, they’ve expanded operations and kept on top of client demands and offer contract-roasting services. Another company that has lasted the test of time, the Vittoria brand is widely recognized and distributed across Australia. Now in the third generation of family ownership, their focus on the foodservice business means that you’ve likely drank Vittoria coffee without knowing it at your favorite restaurant. Mountain Top Farm is located about two hours south of Brisbane in southeast Australia, quite far from most other Australian coffee growing areas. The region is known for its red volcanic soils and favorable altitude for growing coffee on the slopes of Mt. Warning, an extinct volcano. This is one of the southernmost coffee growing regions and enjoys a lush and subtropical climate. A high-tech coffee farm, Mountain Top cultivates the Mundo Novo coffee plant varietal which is a hybrid of the Bourbon varietal. The flavor profile of Mountain Top includes a light to medium body with a crisp, clean taste, often with floral and fruit notes including a sharp sweetness sometimes suggesting apricot as well as rose hips with hints of nectarine in the finish. Mountain Top Coffee is processed using the Semi-Washed Processing method which leaves some of the fruity mucilage on the parchment as the coffee beans dry. Thank You for Visiting Espresso Coffee Guide and Reading About Australian Coffee! Savor Your Coffee and Espresso!